Within political anthropology, considerations of the technologies of state governance have tended to be rather divorced from discussions of feeling and sentiment. 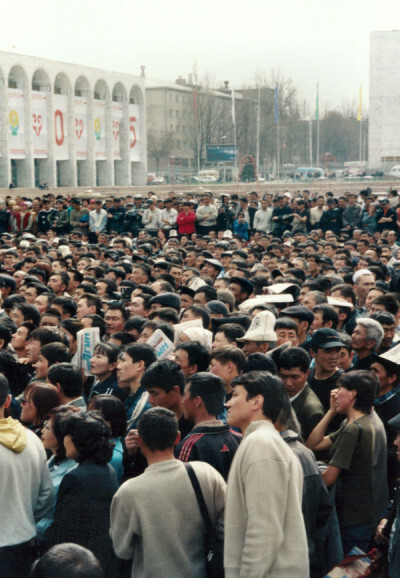 I am interested in the affective force of the state, both in the mundane interstices of ‘ordinary life’ (the desire, for instance, to have a well-ordered, infrastructurally predictable, territorially integral state), and at times of dramatic political upheaval, as occurred in Kyrgyzstan in March 2005 and April 2010, when the country’s first and second presidents were unseated in popular uprisings. These interests emerge less from a concerted research ‘project’ than from a collective attempt, by many of my friends and interlocutors in Bishkek, to make sense of these moments of dramatic intensification of popular sentiment in 2005 and 2010. Drawing on my doctoral fieldwork, I have written on what I call the ‘affective life of the state in southern Kyrgyzstan’, and specifically, the significant popular investment among a group of border-villagers in having a well-defined state border. I have also sought to explore the relationship between mourning, violence and political community in a context of popular uprising and state violence in the spring of 2010 in Kyrgyzstan. I develop some preliminary ideas around these themes in a pair of articles for the London Review of Books ad in an article for a special issue of the Anthropology of East Europe Review concerned with hope and futurity in Kyrgyzstan. 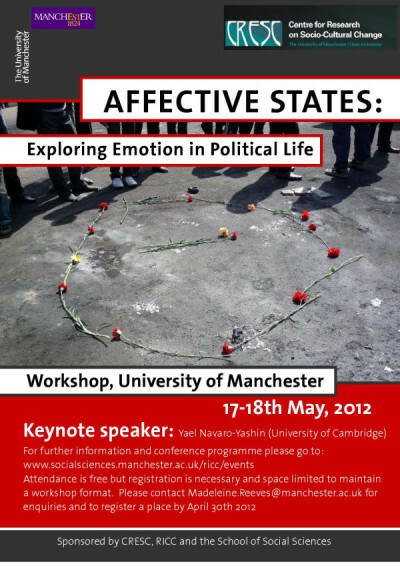 With financial support from the University of Manchester and CRESC I organised a workshop in 2012 on ‘Affective States’ to explore some of these themes of state and sentiment in comparative perspective. Some of the papers from this workshop are forthcoming in a special issue of Social Analysis that I am co-editing with Mateusz Laszczkowski from the University of Warsaw.